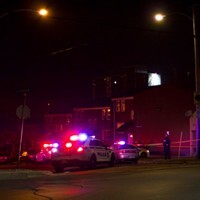 Halifax police task research coordinator to look into shootings after 12 homicides in one year. DeRico Symonds is program manager with the municipal youth advocacy program Souls Strong. Solving a homicide is, to some degree, quite simple. You just need to find the hand that pulled the trigger. Understanding why that person picked up a gun in the first place isn’t so cut and dry. As Halifax reflects on what’s been a violent 2016, the police department and the municipality are trying to answer that question of why and figure out how to prevent the next murder before it happens. In response, the police department’s tasked its newly created position of in-house research coordinator to study gun violence. Chris Giacomantonio says (through a spokesperson) that work is just beginning and it’s “too early” for him to comment on its scope, but deputy chief Bill Moore tells The Coast it’s needed given what he feels is a growing trend in HRM of individuals settling disputes by reaching for a gun. The department is also backing HRM’s youth-at-risk programs, which Moore says can provide “pre-emptive disruption” to conflicts that could, if left unchecked, become violent. That includes Souls Strong. The municipal-run initiative started three-and-a-half years ago and works with men aged 15 to 20 in North Preston. 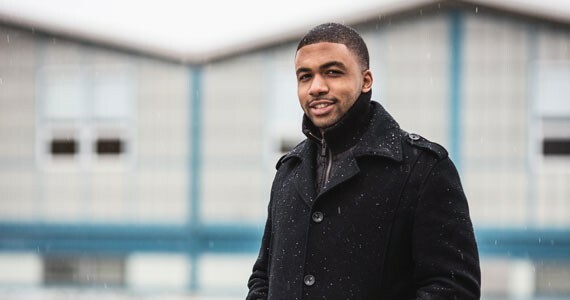 Program manager DeRico Symonds says Souls Strong’s advocates work with about 10 youths each in a “wrap-around” model that includes everything from education to employment issues. “We incorporate community and we incorporate family and anyone who is connected to the youth,” says Symonds. But city-run social programs, while they can offer a spot effectiveness, don’t really address the bigger societal issues at play. He means there are structural problems, beyond Halifax. Problems that this government and others often pay lip service to solving, but in practice are less likely to take action on. The African United Baptist Association recently called for gun violence to be treated as a public health emergency and the province to provide mental health crisis support to affected families and communities after HRM’s 12th homicide so far this year. Afua Cooper, the James R. Johnston chair in black Canadian studies at Dalhousie University, writes for CBC that mayor Mike Savage and premier Stephen McNeil are “passing the buck” dealing with this violence by not addressing the root economic causes that lead to disenfranchisement for African-Nova Scotians. Symonds says it’s not one department, community or person’s problem to try and solve a city’s violence in isolation. He believes it’ll take all hands on deck to make real change. 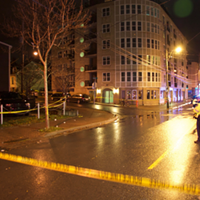 Investigators in Halifax's homicide unit describe their work.